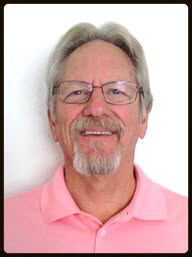 Dr. Hansink has worked in the field of mental/behavioral health in various capacities since 1978. His vast experience spans both public and private sectors, mental health and chemical dependency treatment, inpatient and outpatient settings. He has worked with adults, adolescents, younger children and their families in a multitude of different modalities. For the past 11 years Dr. Hansink works in his own private practice in the San Juan Capistrano Area. He offers traditional individual, group, family oriented psychodynamic therapy for individuals struggling with mental, emotional, relational problems including but not limited to anxiety, depression, ADD, ADHD, Post-traumatic stress disorder, marital problems and more. More recently Dr. Hansink has incorporated a new and very powerful EEG Neurofeedback treatment modality into his practice both as a primary mode of treatment and as an adjunct to the more traditional therapies. This therapy has wide applicability in the treatment of ADD, ADHD, depression, anxiety, mental health and other conditions of emotional dysregulation. Neurofeedback has also been used extensively in the area of marital counseling, drug addiction, and peak performance with great success. For more information on Dr. Hansink's practice and on services he provides please call him at (949) 933-3556 or e-mail him at Rhansink@cox.net. Dr Hansink's services are covered by many health insurance plans and he also offers reasonable payment plans. Dr. Farshid Fard (Psy.D. in Clinical Psychology) has worked with a wide variety of clients facing different emotional and relational problems. His experience as a professional counselor goes back to 1996, when he completed his Masters degree in Psychology and started to teach and counsel college students. He has been offering traditional psychotherapy for individuals with Depression, Anxiety, stress-related syndromes, relational problems, and offered academic counseling for students at schools and at the university level. He continued and completed his Doctorate in Clinical Psychology at Argosy University, Alliant International University, and Ryokan College. Since 2008, following the completion of his Doctoral degree, he has expanded his professional skills in different areas of expertise. Being certified as Neurofeedback therapist, Dr. Farshid Fard incorporates Neurofeedback treatment to the traditional therapies, believing that, while other modalities are beneficial in their places, there are cases and challenges—such as, but not limited to, ADHD, anxiety, depression, Post Traumatic Stress Disorders, tension-related headaches, etc.—that can be addressed and treated more efficiently with Neurofeedback. It is now documented in research-based science that not only people with mental health challenges but also even healthy people with normal functionality can benefit from Neurofeedback to better self-regulate their brains, enhance their capabilities, and experience Peak Performance by getting Neurofeedback training. Dr. Farshid Fard, a bilingual and multi-cultural oriented practitioner, utilizes these new advances in modern psychotherapy, along with traditional approaches, to help his clients in different age groups with a variety of challenges. Jean Stewart has worked in the field of mental/behavioral health since 1976. She has extensive experience in the treatment of alcohol and drug addiction with individuals, families, couples and adolescents in both inpatient and outpatient treatment settings. Jean has developed and managed her own drug/alcohol education and counseling program along with a business partner. One area of focus was on elderly persons (50+) who can often become dependent on alcohol and/or prescription medications, a problem that is not unusual in the senior population. Jean has also worked at Orange County Juvenile Hall for several years providing alcohol and drug education/counseling to hundreds of juveniles who are often incarcerated for substance abuse/addiction and related behaviors. Jean's 35 + years of acquired knowledge and insight into substance abuse, depression, anxiety, losses and issues of trust in relationship give her unique expertise in assisting individuals struggling with these issues. Jean provides patience, compassion and timely confrontation in her therapy practice, recognizing each person has a different time clock for working through physical, mental, emotional and spiritual wounds.